Thank you for your interest in our day camps. Kids ages 6-12 can enjoy their holiday breaks at Hot Wheels. We offer fun, energetic day camps for Summer Break, Spring Break, Thanksgiving Break and Christmas Break. Since 2011, Hot Wheels has provided highly supervised camp experiences that result in the development of real life skills, real friendships, and real FUN! We focus on not only a fun expereince but also core values of caring, respect, responsibility, and honesty. 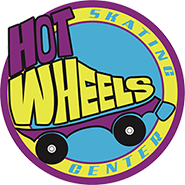 Hot Wheels is a privately-owned, local day camp that focuses on recreational activity and age-appropriate programming ensuring that kids stay engaged and occupied throughout their day. Our well-trained Hot Wheels camp staff is dedicated to providing your child with an exceptional camp experience. Camp counselors are carefully chosen for their enthusiasm, talent, and dedication - many of our counselors are baldwin county school teachers and college students persuing a degree in teaching. All staff participate in pre-season training to further develop their skills to create an environment where our campers feel cared for, accepted, and encouraged. All counselors 18 and over are given background checks.